Zeus, the King of all Gods and Goddesses was believed to bless each human with a gift, one special power which could help them in their lives. 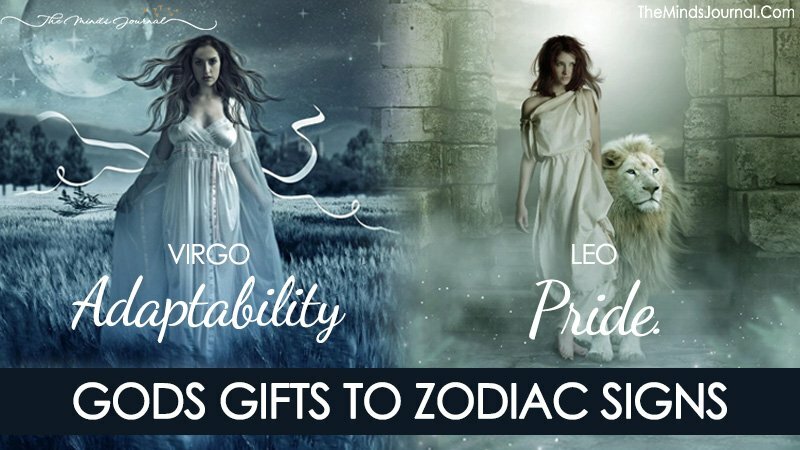 Thus, the king of Olympus blessed Zodiac Signs – every single one of them – with one particular gift. A Gift which defines one from another. Zeus was believed (and still is) to love human kind so much that he always find ways to help them in their ways. There is a Legend which builds the story of all Zodiac Signs. A fascinating myth (?) which was either made up or assigned to each Zodiac part in order to represent the real qualities that enrich the ones born under it. By this way, the ancient Greeks narrated how the Gods and Goddesses gave each human a Divine Gift to help them in this life. Aries is associated with the Legend of the Golden Ram’s fleece, a story older than time. According to the ancient historians, Jason and the Argonauts traveled a long journey, facing a thousand difficulties in order to retrieve the Fleece of a Golden Ram which was hidden and kept in a mysterious land far away. Jason never loses faith and he keeps finding a way to succeed with teamwork as he “sacrifices” himself for the greater good. Zeus honors Jason by turning the Golden Fleece into a bright constellation as a reminder of his faith.